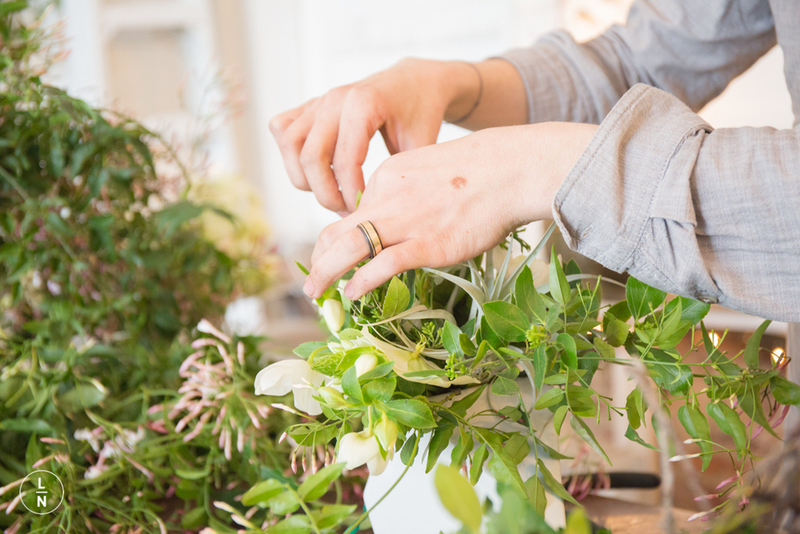 Yesterday I spent the early afternoon visiting with Benjamin and Emerson, the amazing duo behind the sweetest flower shop, Ampersand, which is tucked away right off Valencia street in the Mission neighborhood of San Francisco. 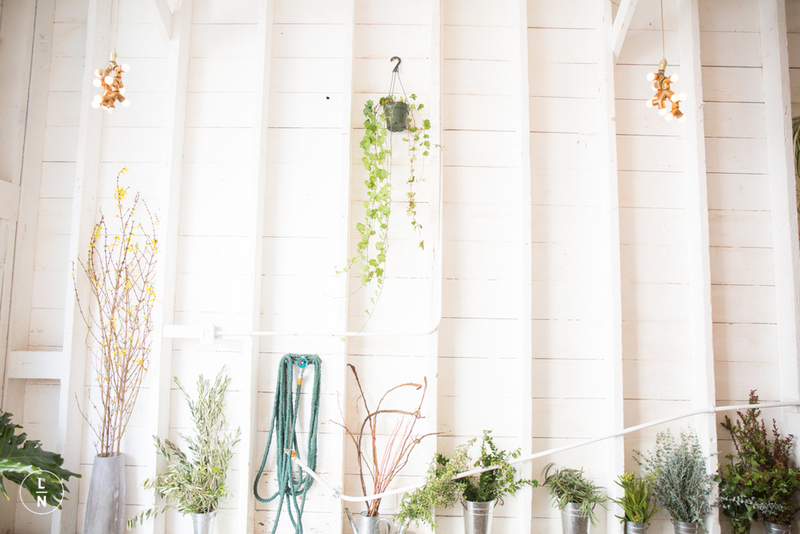 They found their space in a former garage and made a cozy space into such a lovely flower shop. 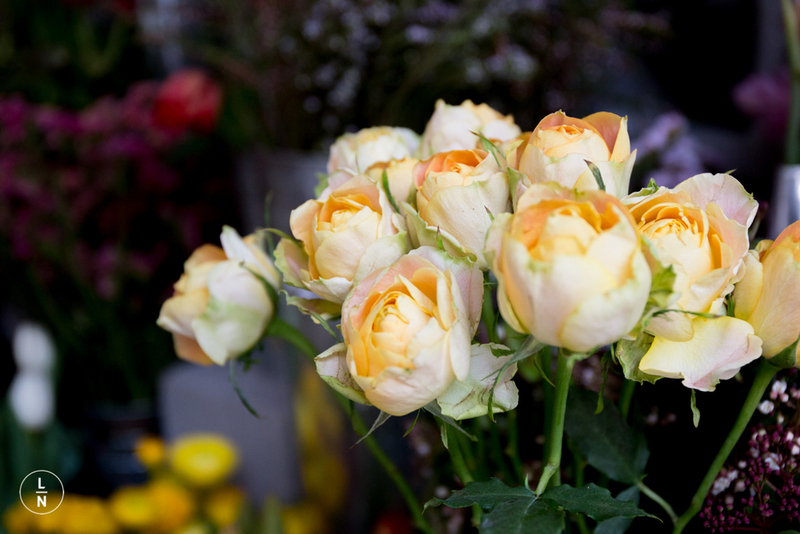 They source their flowers within the Bay Area and set it up so that you can come in and pick and choose to make your own bouquet or they can create one for you on the spot using your preferences. I first worked with them indirectly at the beginning of the year when I did a styled shoot with other wedding vendors. I finally got to meet them in person this past weekend when I photographed a Galentine’s soirée with some NorCal bloggers. It was such a beautiful day yesterday that I decided to take a trip up to see their shop during the day and photograph them in action. It was a nice break from other photo jobs and just bringing my camera out to explore and take photos for fun. Here are my photos from such a fun and inspiring afternoon with Benjamin and Emerson. 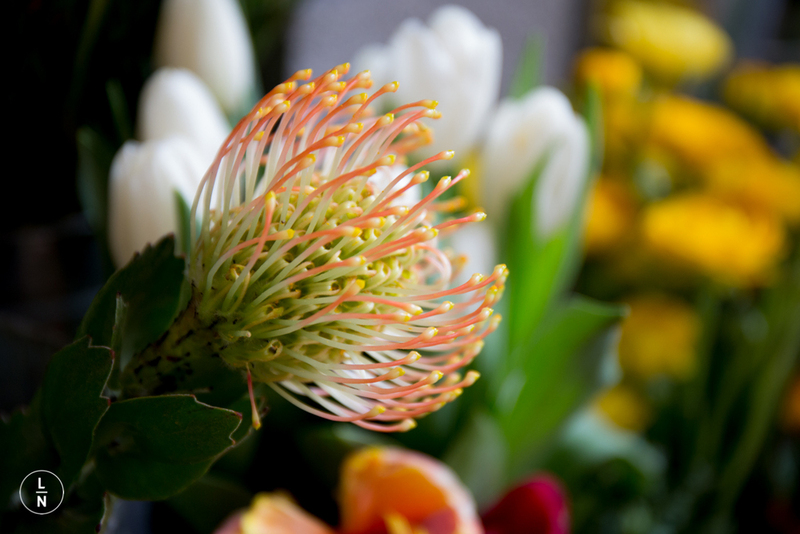 If you’re in SF and are in need of some pretty flowers, please stop by and visit their shop. They also do events and are happy to have people come and sit on their couch to just enjoy the flowers. You’ll find those turquoise doors easily.